Lavender oil is extracted from the beautiful, scented lavender flowers through the steam distillation process. The lavender plant is an inherent to Mediterranean regions and Northern Africa. It grows in stony and sunny habitats. It can also be found on the United States, Southern Europe and Australia as well. Literally, the flowers were added by the Ancient Greeks, Persians and Romans to the bath water in order to clean their skin. The word lavender was derived from the Latin word “lavare” which means to wash. It was used for the purpose of all around cure in Europe and Greece whereas it was used as a natural deodorant in Medieval and Renaissance Europe. Lavender was used in 17th century in London during the Great plague. People tied these flowers around their waists with a belief that it will defend against Black Death. Lavender oil is pale-yellow to yellow-green in color or colorless with a floral, slightly woody, sweet, herbaceous fragrance. Lavender essential oil is able to erase nervous tension, increase blood circulation, cure respiratory problems, sanitize skin and scalp and calm pain. This essential oil helps to repel the bugs such as midges, moths and mosquitoes. The exposed skin should be applied some lavender oil in order to prevent from the bites. In case if a bug bite also then it lessens the pain and irritation with bug bites. The lavender plant if planted around the doors and windows then it restricts the entry of bugs. Lot of people in the world is suffering from migraine headaches and tension headaches. According to the new medical research, lavender oil is a natural cure for these problems. According to the study of European Journal of Neurology people, the pain due to migraine headaches was reduced when the lavender oil was inhaled for 15 minutes. For the treatment of headaches, the mixture of lavender oil and peppermint oil should be rubbed on the back of the neck, the temples on the lateral side of the forehead with its inhalation. The lavender essential oil treats insomnia by promoting sleep. The elder patients have sleep regularity when the essential oil is placed on the pillows. The modern medicine for the sleep issues can also be replaced by the lavender oil due to its relaxing effect. Lavender oil can prevent the itching, bactericide, dryness, relieves pain and acts as a moisturizer during winter. The chapped areas of hands and fingers should be rubbed by taking the few drops of lavender oil. Due to the calming fragrance of lavender essential oil, it deals effectively with anxiety and nerves tissues. It is able to cure nervous tension, depression, emotional stress, migraines and headaches. The mental activity increases due to its refreshing fragrance which also treats restlessness and nervous exhaustion. The one who inhaled lavender oil and rosemary oil before exam seem to reduce the anxiety and mental stress. Scabies is the water-borne illness which is transmitted by the skin contact with the infected ones. This parasite which shelters under the skin, cause irritations, dermatitis and lay eggs is killed when the lavender oil is used with the tea tree oils. The lavender oil also relieves the irritations caused by the parasites. Acne is the uncomfortable and embarrassing skin condition which the young people face the most when they move through puberty. The red and raised sores occur to the face and body due to the infection of bacteria near the sebum gland. It results in infection, irritation and serious scarring as well. The use of lavender oil prevents from bacterial infection and reduces the scars. The small amount of lavender oil if added to the ointments or skin creams will speed up the healing process. The lavender oil helps to relive muscular aches, backache, sore and tense muscles, rheumatism, lumbago and sprains. The joint pain can be cured if the lavender oil is massaged regularly. The vapor of lavender oil if combined into the oxygen helps to reduce the pain during surgery. Due to its stimulating effect on the urine production, it is used to treat disorders related with urine. It restores the hormonal balance and lessens the inflammation of urinary bladder. It treats the cramps and other disorders. The lavender essential oil also treats laryngitis, cough, cold, flu, throat infections, bronchitis, sinus congestion, asthma, whooping cough and tonsillitis. It may be applied on the skin of the chest, neck and back or inhaled in the form of vapor. It can also ease the phlegm and congestion which is related with respiratory conditions and speeds up the healing process. The respiratory tract infections can be treated by inhaling the lavender oil vapor with its antibacterial qualities. Lavender essential oil effectively removes the lice, nits and lice eggs. It also treats with the hair loss. The Scottish study reported that alopecia patients found their hair growth was increased when the lavender essential oil is rubbed to their scalp regularly. It is also considered as the solution for the male pattern baldness. According to the research made, it showed that it prevents the instance of breast cancer in mice. This could indicate that the lavender oil has the ability to fight against cancer and carcinogenic effects. The inflammation due to the ear aches can be reduced if the few drops of warm Lavender oil are massages around, behind the ears and sides of the neck under jawline. The lavender oil increases the blood circulation. 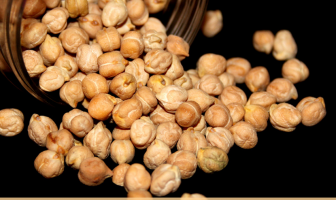 It is used to cure the hypertension and blood pressure. It eliminates the poor circulation and prevents the risk of atherosclerosis and heart attack. The mixture of lavender oil and natural surfactants serves as an effective cleaner. The infected wounds can be cleaned by the few drops of lavender oil to speed up healing process and prevent infection. Lavender oil helps to improve the portability of food within the intestine. It cures the stomach pain, indigestion, vomiting, colic, flatulence and diarrhea and stimulates the production of gastric juices and bile. The lavender essential oil helps to strengthen the immunity power to fight against various diseases. According to the research made in 20th century, due to its antiviral and antibacterial properties, it provides immunity against the diseases such as diphtheria, typhoid and TB. The lavender essential provides a relief from the symptoms of minor motion sickness. But it does not prevent motion sickness for a long cruise for which a stronger medicine is required. The few drops of lavender oil should be rubbed on the area infected with ringworm. It should be performed once a day till the fungus is removed. The lavender oil if applied on the infected nails daily helps to heal and moisturize. In order to get rid from the irritation and fungal infections feet should be soaked on the warm water added with lavender oil. Due to its antifungal and antiseptic properties, it helps to cure the skin problems such as wrinkles, acne and psoriasis. It speeds up the healing process of sunburns, cuts, wounds and burns. The eczema can be treated by adding lavender oil with chamomile. The esophageal spasms could be treated by taking a few drops of lavender oil in the tongue which provides the relaxation to the involuntary muscles of the digestive system. It effectively lessens the spasms and provides relaxation to the constricting muscles of the throat. Leucorrhoea can also be treated by the lavender essential oil. It can repel moths and mosquitoes so mosquito repellents have lavender oil as its essential ingredients. Lavender oil provides a great fragrance. The pure oil can be directly put on the skin or it can be added to the water for a light scent. The homemade perfume can be made by adding 2 drops of lavender oil with ½ cups of water in the spray bottle. The spray bottle should be shaked well before using. The lavender oil could also be added with frankincense wood essential oil or cedar wood essential oil for the different fragrance options. It can also be used as an air freshener. The lavender oil could be either sprayed or diffuse it. The mixture of lavender oil and water should be sprayed on the bed sheets or pillow to create a relaxing environment. The same method could be applied on the bath towels for the bathroom. Lavender oil helps to prevent and heal chapped, dry and sun burn lips. The mixture of few drops of lavender oil and the carrier oil such as jojoba oil, Shea butter or coconut oil should be rubbed to the lips for providing protection in the sun. The other sun burned areas could also be treated by the same mixture to speed up the healing process and ease itchiness and pealing. Lavender oil enhances flavor in foods like tea, salad dressings and grain-free muffins. Lavender oil is able to be eaten and it has got a very powerful taste. It boosts the flavor of dishes when added 1-2 drops of this lavender oil to the recipes. It goes well with pure honey, balsamic vinaigrette, apples, dark cocoa, cranberries and black pepper. The lavender oil of 6-8 drops if added to the bath water then it helps to relieve stress, provides relaxation and heals aching muscles. The drops of lavender oil should be added to the Epsom salts or capful of milk and put in bath which helps scatter the oil through the water. 3 drops of Lavender oil should be added to a capful of water and tip the head in it. The oils should be rinse off by standing under the running water. The vapors should be breathed. The oil should be added while shampooing and rinse off normally. The top dish of the vaporizer should be filled with water by adding 6-8 drops of lavender oil. The tea light candle should be lit underneath the dish. In this way, the health benefits of lavender oil could be achieved. The burner should be kept away from the open windows or draughts. Note: Warm water should be used for quicker results. It helps to loosen the tight and sore muscles. The good quality vegetable oil or carrier oil should be used for massaging. 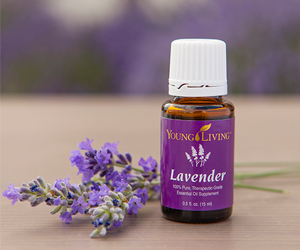 For 10 ml of vegetable oil, 5 drops of lavender oil should be added. For babies and elders, 1-2 drops should be used. It provides the relief from sinusitis, flu and anxiety instantly. 1-3 drops of lavender oil should be used for inhalation. A bowl hot water should be added 4-6 drops of lavender oil and breathe the vapor by covering over the head with towel. Eyes should be shut and it should be breathe for a few minutes. It works a great for flus and colds. It works better for sore, dry, fatigue, tired hands or feet. The hands or feet should be soaked to a large bowl of warm water by adding 4-6 drops of Lavender oil, for 10 minutes. After that Lavender lotion should be applied for additional benefits. A cloth should be soaked to a bowl of warm water with 6-8 drops of Lavender oil and after squeezing, it should be applied to the affected area. A new muscular sprains or injuries should be treated with cold water. After the burn is kept on the running cold water for approx. 10 minutes, a few drops of lavender oil should be applied to the burnt area so that it will boost the healing process. But the serious burns should be shown to the doctor. For Aching muscles: Lavender bath also helps to ease ache and pains. Epsom salts should be added with Lavender oil to the bath in order to relieve the tension. For Acne: The mixture of 4 drops of lavender oil and 1 tablespoon of an almond oil or olive oil should be used for treating acne. For Bacteria: It helps to prevent the bacteria which causes TB, typhoid and diphtheria. For burns (minor): Immerse the burn area in running cold water for 5 minutes then apply lavender oil to the affected area. It helps to provide relief from the pain instantly and heals the burns without scars. For cuts and wounds: The lavender oil should be applied to relieve pain, prevents from infection and heals without scars. For Ear ache: The bottle of lavender oil should be warmed for a minute or two in a hot water. Then the few drops should be massaged to the skin around the ears and throat. The mixture of 2-3 drops of warm lavender oil and a little olive oil should be massaged for the babies and small children in the same way. For Eczema: The affected area should be massaged by the mixture of few drops of lavender oil and carrier oil. In 1 cup of water, 10 drops of lavender oil should be added into the spray bottle. The solution should shake well before spraying to the affected area. For Fatigue: A feet should be soaked in a hot foot bath adding 5 drops of lavender oil and it soothes the various systems of the body by reaching the blood stream quickly and exerting its stimulation. For fevers: Sponge the tepid water adding a drop of lavender oil to the babies or small children. It works for the adults as well. For Giddy spells, faintness or palpitations: The own smelling salts can be made- peppermint oil, lavender oil, basil oil and salt oil. For headache: A piece of muslin should be applied to the forehead after soaking in icy cold water and sprinkling a few drops of lavender oil or a few drops should be massaged on the temples, nape of the neck and forehead. For Insomnia: The patients found that they have better sleep after the lavender oil was placed on the diffuser or dropped on the pillows. 3 to 4 drops of lavender oil to the pillow will help to promotes sleep. In case of babies, massage with the mixture of 1 drop of lavender oil and geranium oil in carrier oil to the back of the babies or few drops should be added to the bedtime bath. For Long-Haul Travel: During the endless hours in the air, the combination of rosemary, frankincense, neroli, lavender and clary sage should be roll on the pulse points to provide a clear head during travel. For Menstrual Cramps: The lower abdomen should be massaged with a few drops of lavender oil or the hot compress should be applied to the area with lavender oil sprinkled. For Moths, Midges and Mosquitoes: Lavender oil works wonder for itching, inflammation and insect bites. The few drops of lavender oil either rubbed to the skin or clothes will keep the mosquitoes and insect away. For Scabies: The mixture of lavender oil and alcohol should be rubbed to the whole body until it is healed. The clothes and bedding should be washed and lavender oil should be sprinkled on the mattress. For Sinusitis: The two drops of lavender oil should be added to the steaming water and it should be inhaled by covering the head with a towel which helps to get relief from sinusitis. For Stress and Anxiety: The lavender oil should be applied to the temples for relieving stress and anxiety. For Sunburn: The mixture of 8 drops of lavender oil, 4 drops of peppermint oil and a teaspoon of jojoba oil should be added to a luke warm water and soak the burn areas for 10 minutes. Lavender oil is produced by the process of steam distillation. The full bloom flowers are picked which contains the maximum esters. One pound of pure lavender essential oil is produced from the 150 pounds of lavender flowers. Jar must be completely Clean and dry, and lavender flowers must be kept within it. You need to fill your jar with sufficient flowers. The oil must completely cover all the flowers. If the one is taking the prescription regarding the sleep related disorders or for depression then the lavender oil should not be combined with other medications because it makes people feel sleepy and drowsy. In the near future, if one has to undergo from surgery or anesthesia then also the use of lavender oil should be avoided. The enough research is not made to prove that the use of lavender oil is safe for the pregnant women. The pregnant women should recommend the doctor before using these essential oils. Lavender oil is safe for children but the boys who have not gone through puberty; it may prove to be harmful as it affects the hormone levels. So cautions should be taken while using lavender oil on children. No negative symptoms were found during research when the lavender oil was applied directly to the skin by mixing carrier oil. There is no negative effect when the lavender oil is consumed but it has high level of anti-oxidants which should be kept at minimum because we have sensitive digestive system.